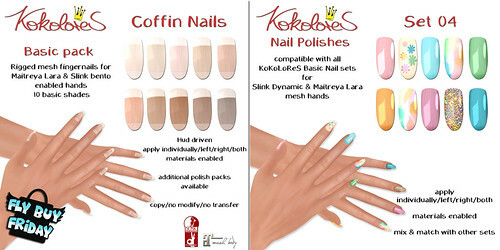 [KoKoLoReS] Basic Nails Coffin for FBF! There's a new Basic Nail shape out at the mainstore for this weeks FBF - only this weekend 100L! Plus a new Nail Polish pack, hope you enjoy.